Cal Ripken, Jr. holds a Major League Baseball (MLB) record for playing in 2,632 consecutive games between 1982 and 1998. To put the magnitude of his achievement into context, consider this fact. Other MLB players made more than 5,000 separate trips to the disabled list (DL) during this timeframe,  and players on the disabled list generally miss at least 10 days in a row. It’s hard to imagine that Ripken would never have missed a game during those seventeen seasons without everyone monitoring how many he had played in consecutively. Cal’s example provides a powerful lesson for forming stronger habits and performing better in any area of your life. One of the best ways to reinforce a behavior that you want to start doing or stop doing is to start a streak of your own. Think of the psychology involved with a streak. As your streak gets longer, you build more and more momentum, and the price for stopping also gets larger and larger. In this article, you’ll learn how to use streaks to improve any area of your life and have your best year ever. Note: If this is your first time at StrongerHabits.com, you can click here to take a free assessment that measures your habits in four areas that have a major impact on how you feel and perform each day. The assessment takes less than 3 minutes, and you get your results immediately. In early 2014, I decided that I wanted to write a book on the connection between stronger, healthier habits and higher performance at work. This idea eventually became my book titled Work Stronger. At that time, I wasn’t writing very consistently though. I was working over fifty hours a week as an executive recruiter, and I simply didn’t feel like doing more work in my free time outside of my full-time job. (While I enjoy writing, it still feels like work to me.) As a result, my writing output had been pretty paltry for months. For example, in May 2014, I wrote less than 1,000 words in total. I wanted to write more, so I decided to start a writing streak. I committed to writing for thirty minutes every day (seven days a week) for thirty straight days. Why thirty minutes a day? More than that felt overwhelming to me, given my other commitments at the time. Less than that felt insignificant to me though. My June 2014 writing streak officially began on Monday, June 2, 2014. It was not easy, but I wrote for thirty minutes every single day for the next thirty days. My total output at the end of the month? More than 15,900 words! To be clear, I didn’t publish more than 15,900 words. My goal for each day was simply to write freely for thirty minutes- without editing. The content that was produced in June 2014 was not of the same caliber that I strive to publish at StrongerHabits.com- where all of my content only makes it public after hours of editing. As discussed here, one of the main reasons why most goals and resolutions are never achieved is because many people set objectives that are too vague. People say they want to “write more,” or “get healthier,” or “enjoy life more,” or “work less.” While these are worthy pursuits, these objectives are unlikely to materialize because they are too ambiguous. In comparison, starting a streak for a specific behavior is a tangible and much more effective way to speed up your progress and perform better. 1. Establish clear rules for your streak before you begin. My recommendation is to give yourself advance permission to decide after thirty days (or some other amount of time) if you want to continue your streak. That way, you don’t feel like a failure if you decide later to stop. However, you could also just start a streak to see how long you can last. Pick whatever option works for you, but decide before you start. You should also decide whether your streak will be for every day, or only for certain days. A daily streak is the cleanest approach, but yours could be for all weekdays, for all weekend days, or simply for one day each week, like every Sunday. Finally, you could also start a weekly streak, or even a monthly streak. 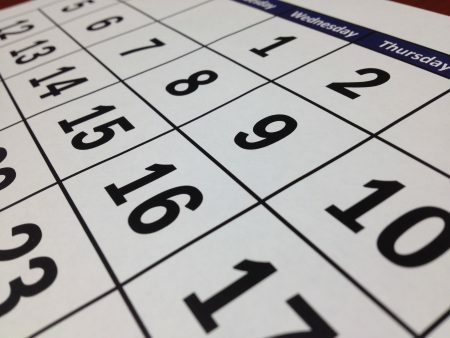 For example, I’ve currently got an active streak going for the number of consecutive weeks that I have published at least one new article here at StrongerHabits.com. Without starting and tracking this streak, I’m certain that I would have taken a few weeks off from writing along the way. 2. Start your day by extending your streak. If you want to start a streak for a behavior that you want to do (as opposed to a behavior that you want to avoid), complete the behavior as early in the day as possible, ideally right after you wake up. That way, you won’t feel any pressure throughout your day to keep your streak alive. If you wait until later in the day to extend it, you are also more likely to forget about it, to run into a conflict, or to experience a lack of motivation to keep it going. There were several days during my June 2014 writing streak when I had to write after 10:00 p.m. to keep my streak alive. That really felt like a burden. Over the years, I’ve failed with some of my experiments with streaks. Waiting until later in the day to extend a streak is usually what gets me and what could get you, too. 3. Keep the behavior to 30 minutes or less. Thirty minutes felt like the right amount of time for my June 2014 writing streak. However, you could definitely start a streak for a behavior that takes less than five minutes a day, as some of my streaks have. It’s up to you. You could also start a streak that is not related to a period of time. For example, if you want to get healthier, you could start a streak to begin each day by eating a nutrient-dense breakfast within one hour of waking up. What’s most important is that you feel at least 90% confident that you can follow-through with whatever you choose. Otherwise, shrink the behavior and aim for something smaller. It’s better to start small and build momentum, rather than starting a streak that ends after a few days (as some of my streaks have) because you started a streak that was unsustainable. Streaks are one of the most powerful ways to form stronger habits, hold yourself accountable, and take your performance to a higher level. What do you want more of or less of in your life? Start a streak, and your goal can become a reality. Jim Reineking, “To celebrate 35th anniversary of start of Cal Ripken’s streak, here are some fun facts,” May 30, 2017, https://www.usatoday.com/story/sports/mlb/2017/05/30/cal-ripken-consecutive-games-streak-fascinating-facts/102281920/. John Berardi, “The 3 Types of Clients,” Precision Nutrition, accessed on August 23, 2017, http://www.precisionnutrition.com/how-to-coach.